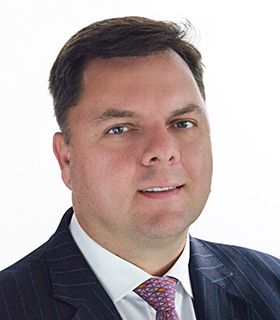 The National Bank of Ras Al-Khaimah (Rakbank) has named Jean Pierre Le Roux as managing director, financial institutions group and international. Having previously worked in senior management roles at Citi, Barclays and HSBC, Le Roux brings 22 years of global market knowledge to UAE-based Rakbank. His last role was country CEO, UAE at Al Ahli Bank of Kuwait, a position he held for three years. In his new role, Le Roux takes on responsibility for all financial institutions, non-bank financial institutions, and trade business for Rakbank. Additionally, he will lead efforts to build the bank’s international business in new geographies, in line with the organisation’s strategy of diversification and expansion. He reports directly to Rakbank’s CEO Peter England. Between 2011 and 2015, Le Roux held senior positions at Abu Dhabi Commercial Bank and Barclays. For one year prior to this he was managing director of the financial institutions group, Asia Pacific at HSBC. He was assistant general manager financial institutions group at Alrajhi Bank from 2009 to 2010 and worked at director-level for Barclays for five years previously.